The Fishing Deluxe Adult Life Vest is a wallet friendly angling PFD from Airhead. It is available in a number of different sizes, starting at XS and going up all the way to 6XL and it is also available in two different colors; Navy or Bark. 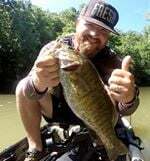 Although not as feature packed as the more expensive angling specific personal flotation devices, the Airhead Fishing Deluxe isn’t a bad choice if you don’t want to dig too deep into your wallet. It is definitely a very comfortable option, thanks to its mesh shoulders and back that allow for maximum air flow. This means that even on hot days you won’t be left sweating under your PFD. This vest also has a NeoLite Kwik-Dry collar for extra comfort. To help you keep your gear within reach at all times the Airhead Fishing Deluxe has two large zippered pockets as well as a D-ring. It also comes with two smaller zippered pockets for smaller items that you want to keep on your person. In addition to a zippered closure, this PFD has two belt straps, both of which have quick-release buckles. 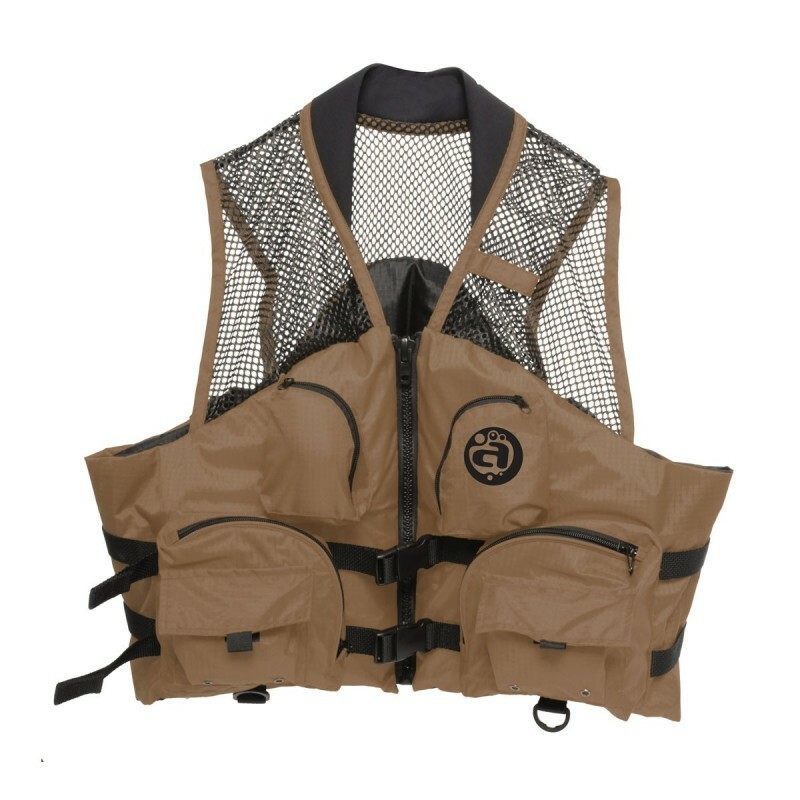 In terms of safety, the Airhead Fishing Deluxe PFD is a United States Coast Guard approved type 3 vest, so it will definitely keep you safe out on the water. It’s definitely a no-thrills type of PFD, so if you are not overly concerned with all kinds of fancy features, then you’ll appreciate this one. It’s affordable, comfortable and has enough pockets for all the essentials. The only thing to keep in mind with the Airhead Fishing Deluxe is that the sizes might be somewhat smaller than expected, so make sure you get one that provides a good fit for you.